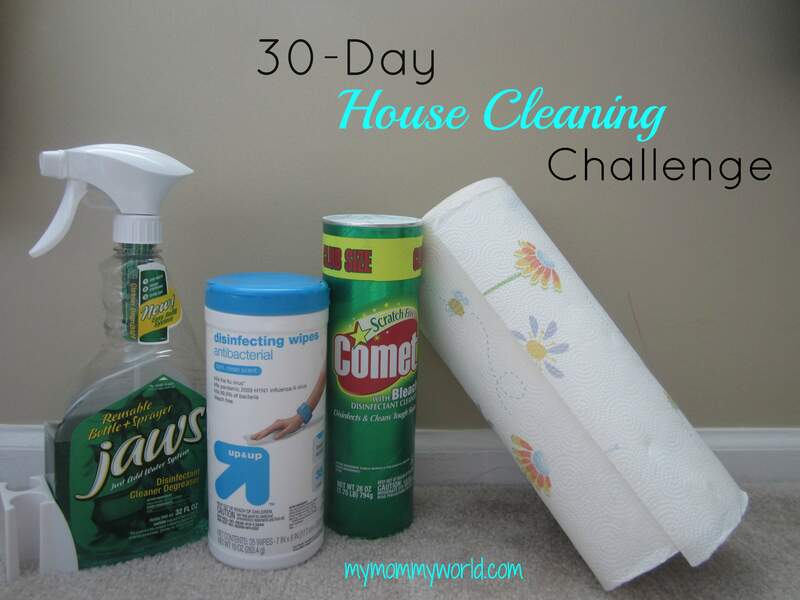 Today was an easy and quick day in the 30-Day House Cleaning challenge over at Money Saving Mom: surface cleaning the bedrooms. We have 3 bedrooms in our home, and luckily, it doesn’t take too long to clean them. I started by dusting all the dressers in each room and cleaning the mirrors on top of them. I use a homemade glass cleaner made with vinegar to clean my window and mirrors, and it always makes them shine nicely. 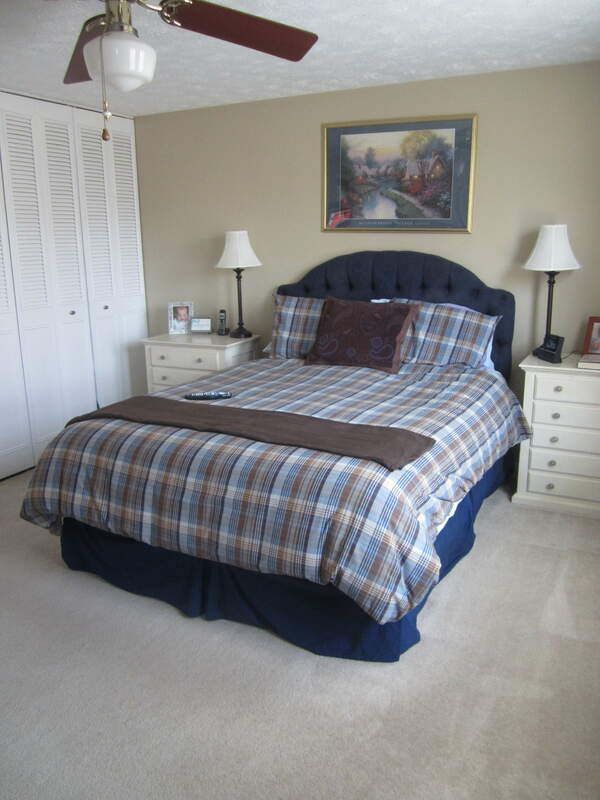 Next, I vacuumed the floors in each room as well as the lampshades and the headboard in the master bedroom. 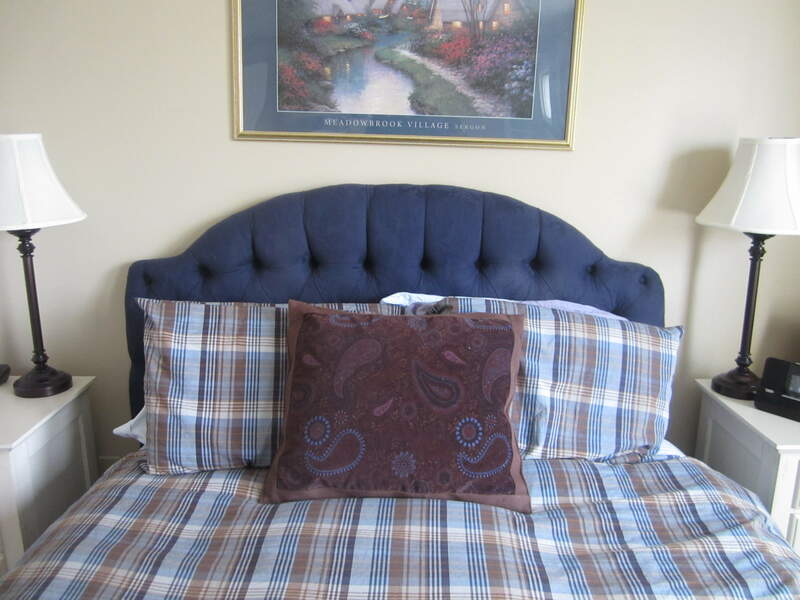 It is an upholstered headboard, and it certainly does collect the dust! Part of my kids’ weekly chores is to pick up their rooms every morning and to make their beds, so everything was already put away in their rooms. I just had to pick up a magazine that was on my bedside table. Today I just worked on our master bedroom. I had some paper clutter and books that had built up in this room so I tackled the clutter along with the cleaning. All of your bedrooms looks very nice. Good job, Erin. Your rooms look great! I love your nightstands. Way to go! Your rooms are so pretty! Aww 🙂 Thank you Melinda! That is a great idea to have your kids pick up their room each morning as part of a routine. I have a toddler now and his room gets pretty cluttered with toys and all the books he pulls off the shelves. 🙂 I think I will start a quick pick-up as part of our morning routine. Thanks for the inspiration! Also, your bedrooms look fantastic! The rooms are so pretty! You have inspired me, thank you!